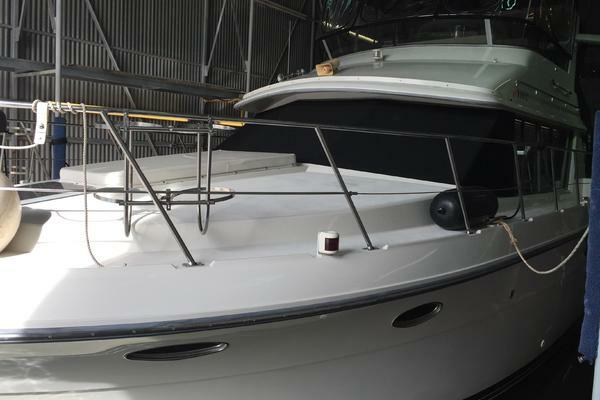 Introduced in 1993, the Carver 370 Voyagerwill appeal to those who appreciate the versatility and comfort of a pilothouse layout. The Voyager’s tri-level interior is unusual in a small coastal cruiser. With a sofa in the salon, convertible dinette forward, and two private staterooms, the Voyager provides berths for as many as seven people. The galley features a side-by-side refrigerator/freezer, microwave oven, and plenty of counter and storage space. A head with separate stall shower is adjacent to both staterooms. The Voyagers come with a fully instrumented lower helm to starboard. The teak interior is well finished, and large wraparound cabin windows provide panoramic views of the water. Topside, the flybridge has dual helm chairs and seating for six. 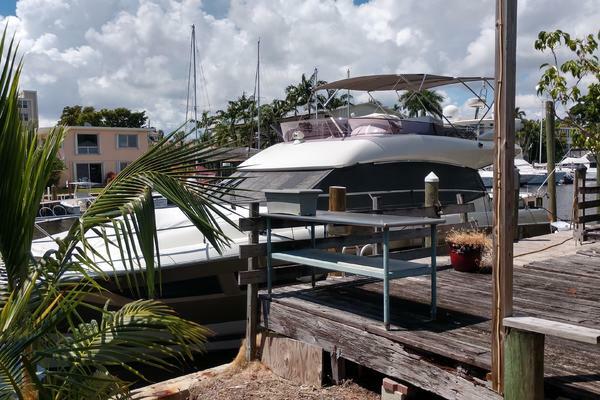 This boat is priced to sell and owner wants her gone. PRICE REDUCED MAKE AN OFFER. United Yacht Sales New Jersey would love to guide you through a personal showing of this 37' Carver 370 Voyager 1994. This yacht for sale is located in Coronado, California and priced at $79,900. For a showing please contact us by filling out the form on this page and we will get back to you shortly!